Show your support and pride for the 44th President of the United States Barack Obama and his vice president Joe Biden with this great collection of Obama t-shirts and gifts. 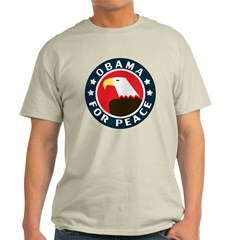 A stylized American Bald Eagle is in the middle of this round Obama For Peace design. 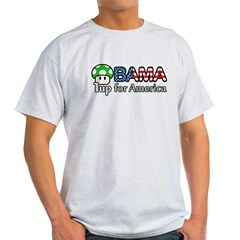 Show your support for Barack Obama's historic Presidential bid with this classic, clean and patriotic pro-Obama design. Support our 44th American President, Barack Obama, with this collegiate / sports style design. Obama is spelled out in classic cursive text with a long swish after the final A.
Barack Obama could be the first black President. He's the hot candidate for 2008 right now, a hottie in more ways than one! Barack is the new black. Support the Democratic Senator from Illinois with this fashionable swag. This is a cute Japanese kawaii Barack Obama image in front of an American flag. Great for Obama fans who love the Japanese comic book style. Manga Obama smiles and gives a thumbs up. This is a cute Japanese kawaii image of President Barack Obama and Vice President Joe Biden - the Dream Team. Great for Obama-Biden fans who love the Japanese comic book style. Manga Obama and Manga Biden smile and give a thumbs up sign. 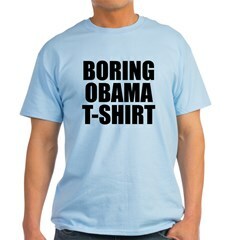 Show your support for Barack Obama with this extremely boring T-SHIRT FOR OBAMA. Font is extremely simple, ho-hum and blah blah black. Supporting Barack Obama doesn't get much more boring than this. Cheap too. 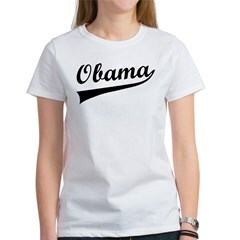 Show your support for Barack Obama with this extremely boring t-shirt. It's so boring, it says so in simple ho-hum blah blah black text. Supporting Barack Obama doesn't get any more boring than this. Cheap too. Show your support for Barack Obama with this extremely boring VOTE FOR OBAMA 'design.' Font is extremely simple, ho-hum and blah blah black. Supporting Barack Obama doesn't get much more boring than this. Cheap too. Baracknophobia is the Irrational Fear of Hope. This funny Barack Obama design shows the Democrat as a giant spider in this arachnophobia-esque design. Don't be afraid of change - vote for Obama for President! 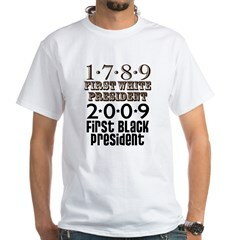 This is a funny design for pro-Obama 'whiteys'. Michelle Obama can call me Whitey any time. And so can President Obama. Whitey for Obama!